The mission’s milestone came after two months of instrument calibrations, test observations and trajectory adjustment maneuvers to lower the MAVEN spacecraft’s altitude after it arrived in Mars orbit Sept. 21. “With the formal start of our science mission, we’re on track to be able to carry out our full mission as planned, and the science team is looking forward to an incredibly exciting year,” wrote Bruce Jakosky, the mission’s chief scientist from the University of Colorado at Boulder’s Laboratory for Atmospheric and Space Physics. 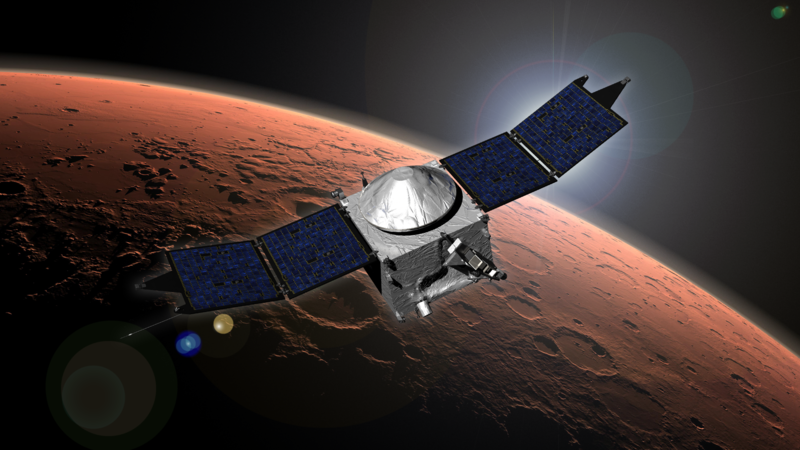 The $671 million Mars Atmosphere and Volatile Evolution, or MAVEN, mission launched Nov. 18, 2013, to kick off a 10-month cruise to the red planet. 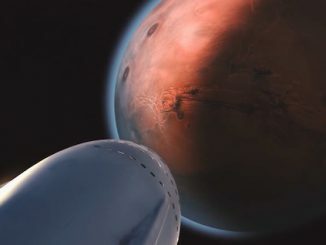 The robotic probe is fitted with nine scientific instruments to sniff the wispy air at the top of the Martian atmosphere, collecting data researchers will use to look back in time and figure out how Mars transformed from a habitable world to a barren planet void of any detectable life. Since MAVEN arrived at Mars two months ago, ground controllers moved the orbiter closer to the red planet through a series of rocket firings. After initially entering an orbit arcing nearly 30,000 miles (44,500 kilometers) from Mars, MAVEN is now circling the red planet at altitudes between 93 miles and about 3,700 miles (150 kilometers to 6,000 kilometers). A chance encounter between Mars and a comet was also an early focus for MAVEN. The spacecraft monitored the Martian atmosphere’s reaction as comet C/2013 A1 — also known as Siding Spring — passed within 87,000 miles of the red planet, a near-miss in cosmic terms. A fleet of NASA, European and Indian orbiters and rovers joined MAVEN to gather “bonus science” during the cometary flyby. MAVEN saw changes as the comet’s dust cloud hit the upper atmosphere of Mars, with one of the craft’s spectrometers seeing a rise in eight different types of metals, including magnesium and iron. The mission collected the first data on the composition of dust streaming away from a comet from the Oort Cloud, a distant ring of tiny icy worlds beyond the planets that are believed to be leftovers from the solar system’s formation, according to NASA. An imaging spectrograph on MAVEN measured a spike in ultraviolet emissions high in the Martian atmosphere during the comet flyby, then saw levels return to normal several days later. Like NASA’s other Mars orbiters, MAVEN ducked behind the red planet during the comet’s closest approach to shield the spacecraft from dust grains that could have damaged or destroyed the probes in high-velocity impacts. The mission mission now turns to its primary purpose of investigating an ancient shift in Martian climate that dried up riverbeds, thinned out the red planet’s atmosphere, and may have doomed Martian life — if it existed. Data from previous missions lack insight into how and when Mars changed, and MAVEN’s job is to find out what triggered the dramatic climate shift. NASA has committed to paying for MAVEN to collect scientific data for at least one year — until late 2015 — but the platform has enough fuel to last up to a decade. One of MAVEN’s ancillary objectives is to serve as a communications relay platform for NASA’s rovers on the surface of Mars. 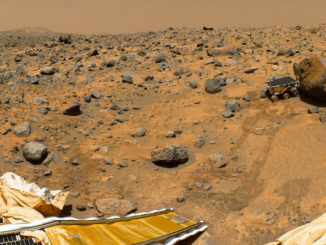 The space agency relies on orbiters above Mars to function as faster radio links with the rovers than if engineers were forced to communicate with them directly. Engineers tested MAVEN’s relay radio Nov. 6 in a linkup with the Curiosity rover. 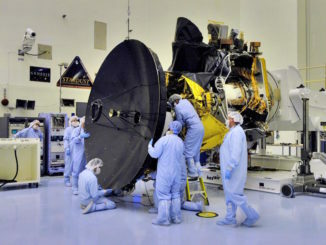 Research is the reason for MAVEN’s existence, but NASA may use the orbiter as a communications conduit more often beginning in 2016.